Lycella luxury linens are the world's finest sheets for everyday use. They are more cottony than cotton and as silky as silk. Lycella is made from 100 percent Tencel® Lyocell, made from the eucalyptus tree. This sateen is sustainable and an all-natural fiber. We are certain that you will find these to be as smooth, as soft, and as fine as any one of the finest luxury linens available to date. The Austrian made premium quality tencel micro fabric is wonderfully soft to the touch and has a mother-of-pearl sheen like silk. 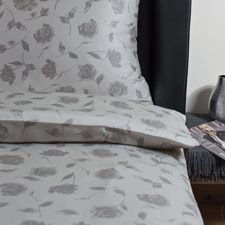 The German Duvet covers are offered in three different designs stylish patterns. The Italian made high-quality percale features a matte finish and a crisp, cool feel that improves with every wash. These solid colored German duvet colors are offered in 25 different colors.